The active directory domain services is currently unavailable. It doesn’t matter whether you want to print a document by opening Microsoft Excel, Word or PowerPoint, you will continuously get the error “The Active Directory Domain Services is currently unavailable.” if the components couldn’t detect the printer connected to the system. At the same time, if you will try to print a document using Internet Explorer any other application you will be able to do that easily without any error. The reason that you are getting this error is because Office 2013 is not detecting the printer. This means that you won’t be able to print a document from Office 2013 unless you fix “The active directory domain services is currently unavailable” error. In this Microsoft Office tutorial, we are going to share two most helpful solution to fix the active directory domain services is currently unavailable Microsoft office error. We hope you will find them useful for you. Nowadays, document printing is the task of seconds. But sometimes when you start facing the various printer problems like Printing is too slow, Windows is sending print jobs to the wrong printer, the print spooler service is not running, unable to install printer, Operation could not be completed & Access is denied, shared printer fails to print in Windows 10 after upgrade etc. then you feel extremely angry. Similarly, many people complained that they are continuously getting an error “The Active Directory Domain Services is currently unavailable” on their Windows 10 Computer whenever they click to find printer while working with Microsoft Excel, Word or PowerPoint document. Step (1): First of all, open the Run dialog box by pressing Windows + R keys together. 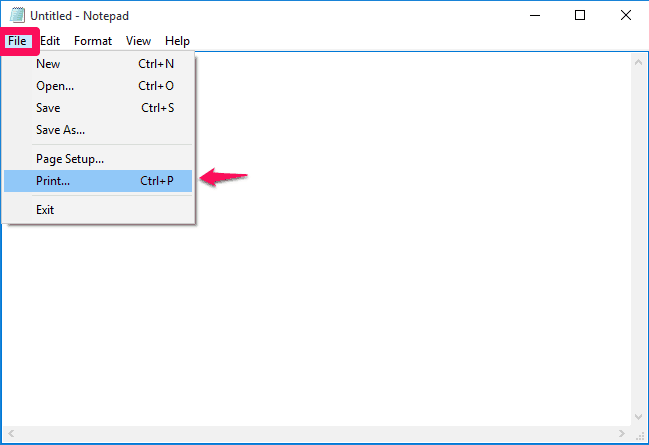 Once the Run dialog box is opened, enter regedit in it and click on OK button. 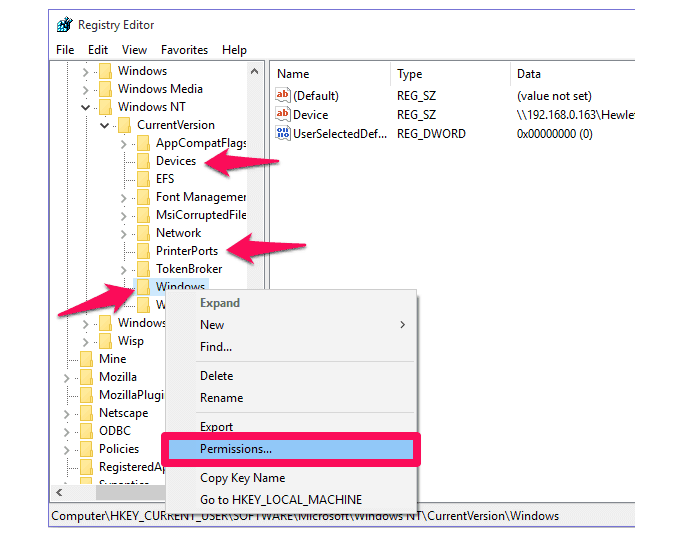 Just after the click, the Windows Registry editor will open on your computer. Step (2): Now navigate to the following Registry editor window. Step (3): You have to search for three subkeys under the Current Version window. The keys which you need to find here are PrinterPorts, Windows, and Devices. Right-click on each key individually and select Permissions option. Step (4): Now the Permissions window will be opened, where you have to choose the user account either from user names label or Group. After that, you have to select Full Control under the Permissions tab by choosing a check mark against Allow. Step (5): You have to perform the same step for all the entries (PrinterPorts, Windows, and Devices) which are located under Group. Once done, click on Apply and then OK.
Close the Windows Registry editor and reboot your Windows 10 computer. Reinstall the printer and you shouldn’t face active directory domain service is currently unavailable error anymore. This is the second method which you can follow to fix active directory domain services is currently unavailable. If you were not able to fix the issue by following the first method you can follow the steps mentioned below where we are going to add a printer. Step (1): At first, close all the Office programs which are running on your computer. Once it is closed, open Notepad and then select File → Print. Alternatively, you can press the combination of Ctrl + P keys. Step (2): You will see a Print window on your computer screen. Click on Find Printer and the process to add a printer on your computer will start. Step (3): Just follow the instructions which the printer setup wizard is giving you and you should be able to install the printer on your computer in no time. 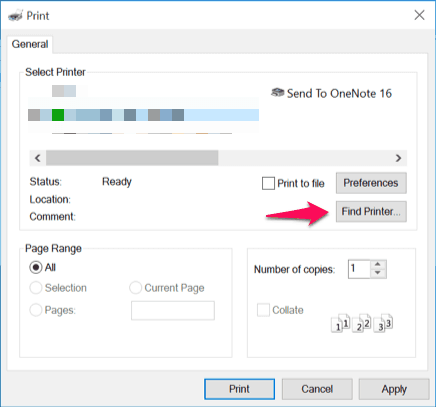 Once the printer is successfully installed, Office 2013 will be able to detect it and will allow you to take print outs. If you have followed all the steps correctly you should be able to fix active directory domain service unavailable error on your computer. These are the two most helpful methods which make to our guide of how to fix “The active directory domain services is currently unavailable” error in Windows 10 PC. If you are able to make changes in the registry editor or add the printer you should be able to print the documents easily.